Neon Motion Lite by Reallusion Inc.
** The coolest and most powerful iPhone Glow application ever! 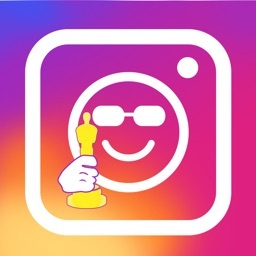 Turn any normal photo into stylized neon animation. 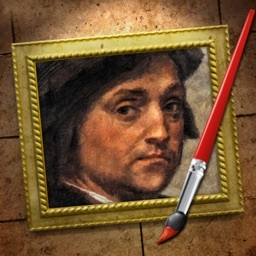 ** Reveal the mystery and secrets behind iPhone painting masterpieces. 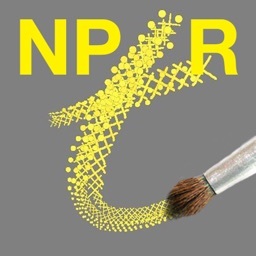 Now, you can be a painting genius, too. 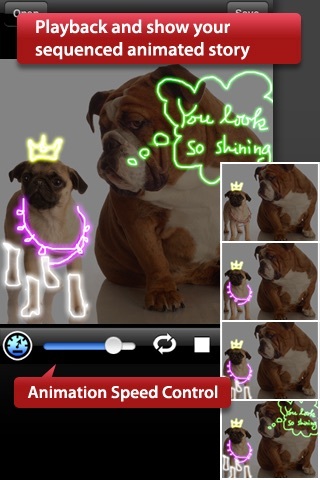 Neon Motion Lite is a powerful editing application with features to help you create animated neon motion effects with photos. 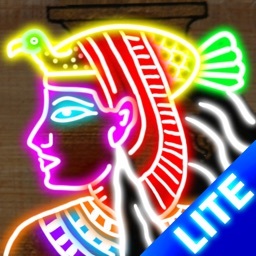 Neon Motion Lite is very simple and fun to use. Turning your photo into a shining masterpiece has never been so easy! - Sketch the outline, make it into a Graffiti glow. 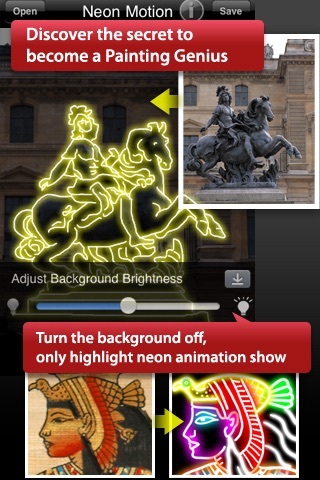 - Easiest way to highlight subjects in photos. 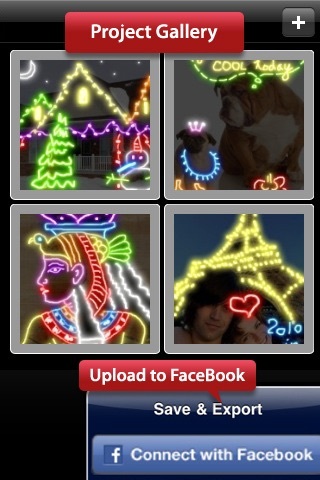 - Decorate your photo by adding jewelry, fireworks, Christmas lights and more. - Now you are the ‘talk of the town’ in any party. - Every photo tells a story. Playback and show your sequenced animated story to your friends. - The coolest AP for creating unique greeting cards. Write down your greetings and add shining talking bubbles. - Feature your pets and loved ones in customized layouts. Your kids will love it! 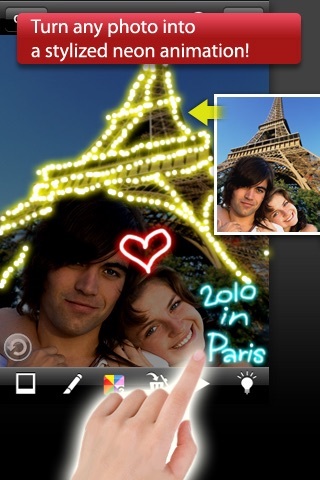 Import photos from your photo gallery or capture with the iPhone Camera. 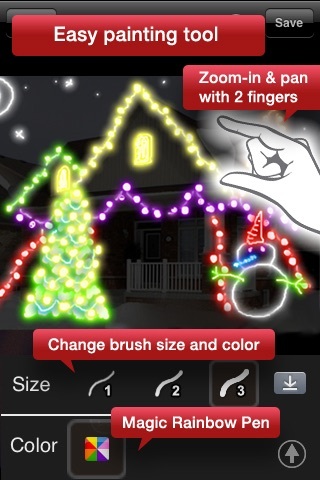 Create real-time, stunning glow and neon effect with quick finger strokes. High quality glow effects with professional Photoshop results. Use two fingers to zoom in, pan, draw details or even write text. 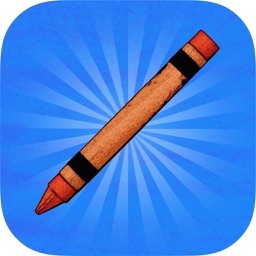 Pen/Eraser: Draw or erase any strokes with ease. Eight glamorous colors: White, Pink, Red, Orange, Yellow, Green, Blue, Purple. Enable the Magic Rainbow pen to easily create random colors strokes. Undo/Clear: Undo any number of painting strokes, or clear all. Playback your shining new drawing, one stroke at a time. Control the speed of your animation and playback as you wish. Loop your animation or playback once. Adjust the background brightness and set your mood. Turn on the background light half-way to better sketch the outline. Turn the background off and only highlight your glowing animation show. 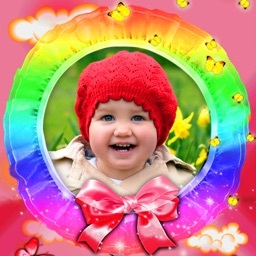 Share with your family and friends by sending emails or uploading your images to FaceBook.